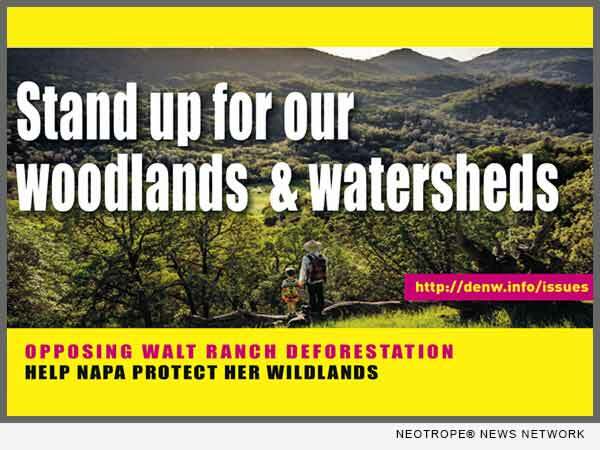 NAPA, Calif. /California Newswire/ — Napa County citizens and Defenders of East Napa Watersheds will rally in front of the County Administration Building at noon on Friday, November 18, 2016, Forests Forever announced today. This occasion is the first day of hearings on the appeal against the Walt Ranch project. Event Contact: Jim Wilson, Defenders of East Napa Watersheds, 707-226-2155.